Let your spirit take control and drive you to the far ends of the earth that you have yet to explore. This vehicle is exceptionally capable, and it will make your adventures more enjoyable, uplifting and exciting. Get all the best features and options by coming by and checking out our 2017 Subaru Outback for sale near Denver Colorado before all of the best models are taken from our lot. 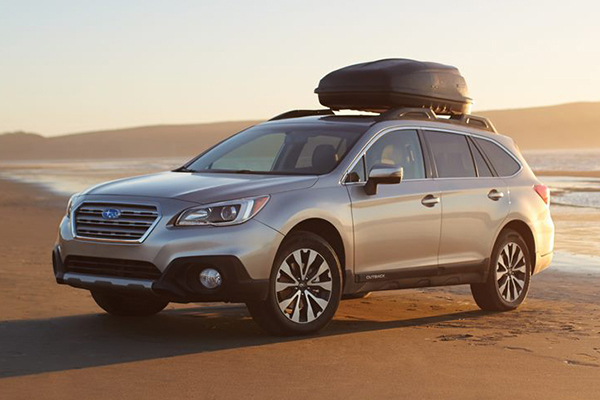 The 2017 Subaru Outback is an exceptional vehicle, and we are able to offer specials to Denver area residents to help you get the most value on your next vehicle. Step outside your vehicle for just a moment and marvel at the power rear gate that opens and closes with the push of a button. You can also open it with dashboard controls or use the button on the hatch to gain access. The vehicle is designed to take the maximum cargo load by strapping extra cargo to the top of your vehicle using the handy roof rails. Come and check out the inventory of the 2017 Subaru Outback for sale near Denver Colorado and find the right Outback for you. When it comes to the 2017 Subaru Outback, we offer a wide variety of options to help you get the most out of your driving experience. We have a host of specials to Denver residents so come down and see our selection of Outback for sale to help you get an uncompromising ride. 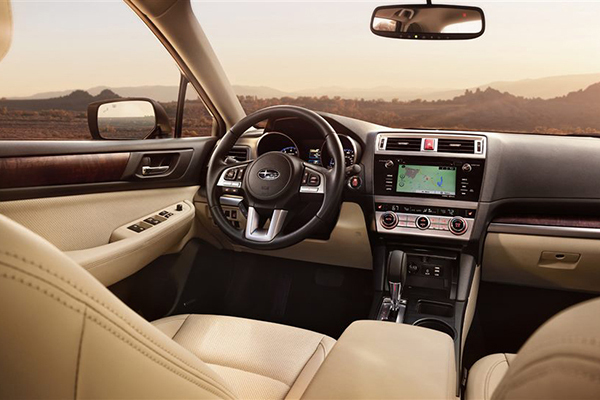 You might not expect your best option for an outdoor adventure would be your vehicle, but you will quickly change your mind with the superior comfort the Outback provides. You'll enjoy a spacious 143.6 cubic feet of cargo space inside the cabin. The soft-touch surfaces are designed to give you a more supple experience and the vehicle is also loaded with technology to help you get even more accomplished on your drives. 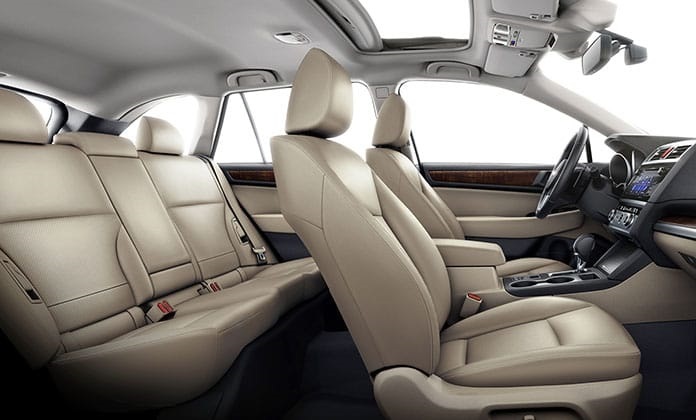 We have a variety of interior options available at our Flatirons Subaru dealership. We can help you get the right options to stay productive and enjoy your next trip. The Subaru Outback is an exceptional vehicle that is able to help you get the most out of life whether you're going for a quick trip to the store or getting ready for your next expedition. When it comes to mechanical features, this vehicle is loaded with exceptional options. With an outstanding ground-clearing capability, you'll be able to easily cover most any type of terrain. You'll also enjoy the enhanced suspension that makes your drive more enjoyable and less rocky for the passengers. People will think you're an expert driver with the exceptionally well-balanced vehicle and extensive braking power that is designed to help you stop instantly. 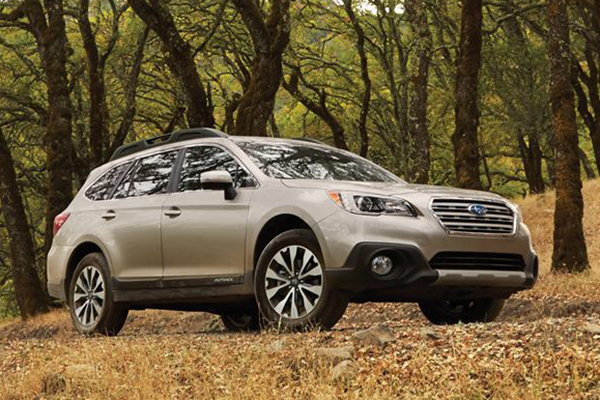 Our Flatirons Subaru dealership can help you select an Outback with the right mechanical features so that you can enjoy your driving experience. The Subaru Outback at our dealership is one of the best options when you're looking for an Outback for sale that won't break the bank. There are two engine options you can choose from when selecting your next vehicle. The Subaru Boxer engine is a wonder of engineering accomplishments and it comes in a four-cylinder and six-cylinder variant. The four-cylinder engine is designed to give you the best power while still maintaining good fuel efficiency. The six-cylinder engine is going to provide you with 256 horsepower, which is about 76 horsepower more than the four-cylinder option. While both engines are phenomenal, the choice will depend on whether you want more power or better fuel. When it comes to the powertrain of the 2017 Subaru Outback for sale near Denver Colorado, you'll find plenty of power and performance packed into our lot. The 2017 Subaru Outback is capable of towing your haul and all your passengers so that you can enjoy your trip without worrying about whether your vehicle will be able to handle the load. We have several specials to Denver residents to make this vehicle more affordable for you. The exclusive EyeSight Driver Assist system will help keep you and your passengers protected on the road. The system constantly monitors traffic systems and can make judgments that you aren't always going to be aware of. This system can help you realize when you're swaying in and out of your lane. It can also initiate a pre-collision braking feature that is designed to help you prevent an accident. If necessary, the vehicle will deploy full braking force to reduce the impact of a collision since the slower you're moving the less of an impact your vehicle will endure. When it comes to safety, it's important that you get a vehicle with the options that will keep you safe on the road at a price you can afford. Our professionals are here to help ensure you know about all of the safety features your vehicle includes so that you can protect yourself and your passengers from harm. Come down to Flatirons Subaru to test drive one of our vehicles. 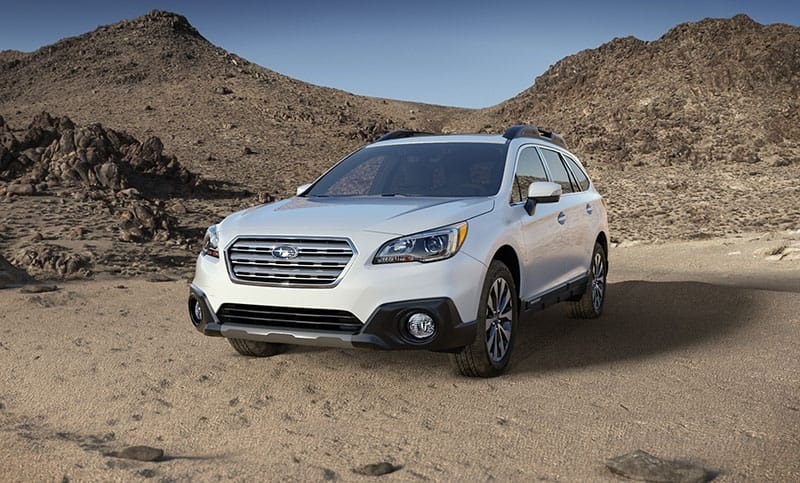 We will help you get the right Subaru Outback for your budget, and we can discuss the options you want to discover if we have a vehicle on the lot that will suit your needs. Our dealership has some of the best deals on the Outback for sale, and we will help you to get the financing to take your vehicle home.